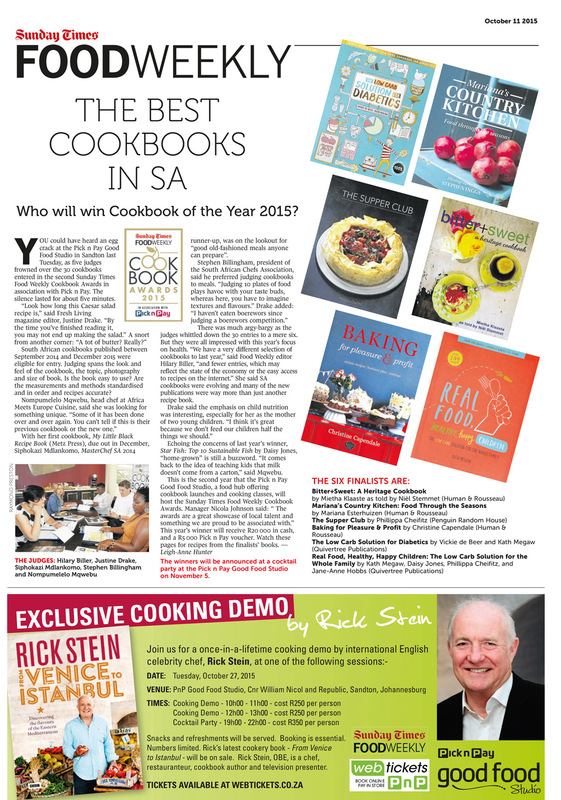 Two of Quivertree’s titles have been shortlisted as finalists for the Sunday Times Food Weekly Cookbook Awards – Real Food, Healthy, Happy Children by Kath Megaw and The Low Carb Solution for Diabetics by Vickie de Beer and Kath Megaw. The winners will be announced on the 5th of November – watch this space! More info in the article below featured in the Sunday Times on 11 October 2015.